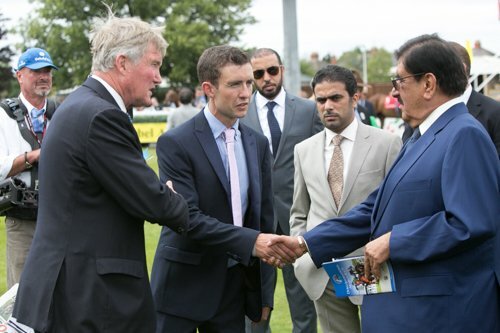 A warm and mostly sunny day at the classy Newbury racecourse saw eight Arabian races held under Shadwell’s DIAR banner backed by HH Sheikh Hamdan bin Rashid Al Maktoum. 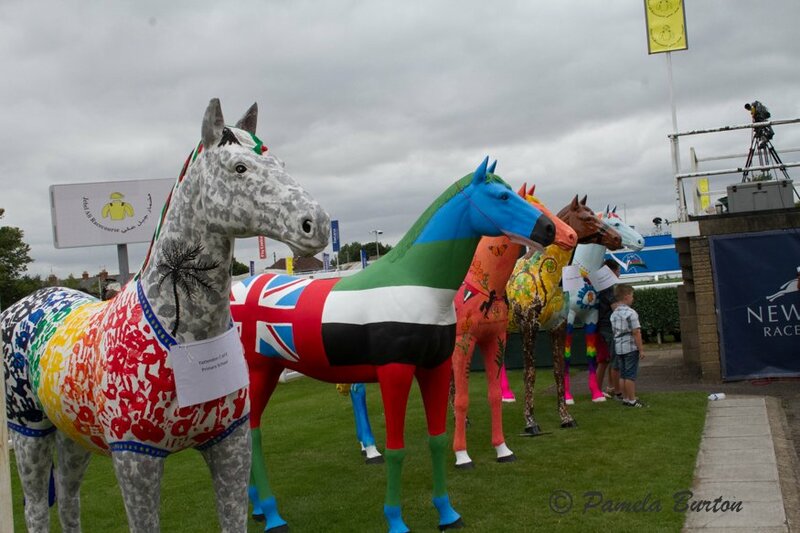 26 July, Newbury, UK ~ The 24 July, Dubai International Arabian Races day at Newbury came in with the warm breath of a lamb, not the stormy roar of a lion as in several past years. With total prize money for the day of £180,000, 3 Group 1 races, and a solid Dubai sponsorship, this race day, now 35 years running, gets better and better, this year hosting 28 International runners, nearly double of the 2015 race day. 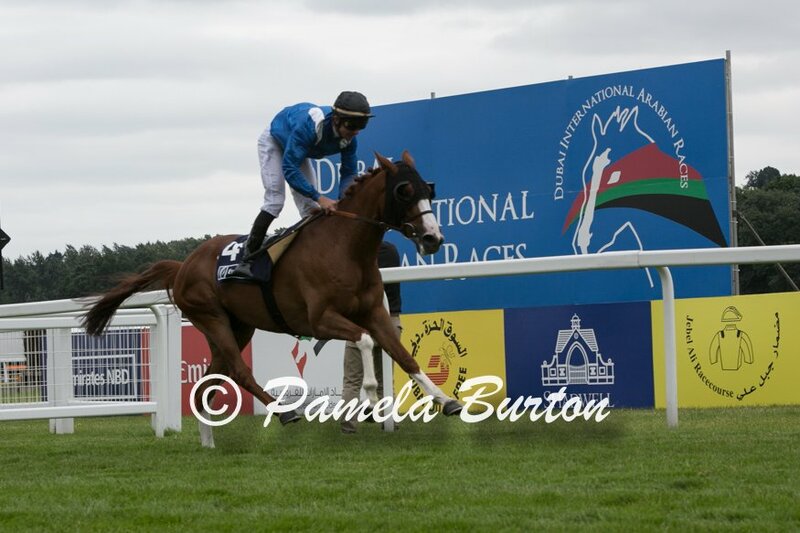 Sponsor Shadwell captured a total of four races, winning the first with handicap debutant Jamaayil then following with Foaad finding the turf to his liking. The two subsequent Group 1 races were easily done with Radames in the Jebel Ali Group 1 and a reprise of the International Stakes with 2015 top Arabian colt, Muraaqib. The highly anticipated feature Group 1, the Shadwell Dubai International Stakes, was handily won by Shadwell’s rising star, Muraaqib, under Francois-Xavier Bertras, bringing the Shadwell Dubai Day win total to four. The Munjiz-bred colt left no doubt that he is the top Arabian for the 10 F turf distance, owning the finish line once he focused on the goal. Not letting Muraaqib rest once he set the lead, Toutatix made a commendable dash for second under Daniel Muscat for new-to-Dubai Day Scandinavian trainer Maria Hagman-Eriksson. The indomitable mare, Sylvine Al Maury, made a good trip for the Dubai Duty Free, coming back from an illness to own the Group 1 Stakes, a justified win for the top Arabian mare of 2015 and renewing faith for trainer Elizabeth Bernard. The Munjiz-bred mare owned by the Royal Cavalry of Oman, had not been well for the last 8 months and Bernard was unsure of how she would perform at Newbury, her first race of 2016. ”She is now at 80%. It would not be possible for her to be 100% without racing for 10 months. I am sure she is well, but sure she is not totally well,” said a tearfully thankful Bernard after the race. In the flush of the win, jockey Jean-Bernard Eyquem made a Frankie Dettorie-style dismount to the delight of the crowd. 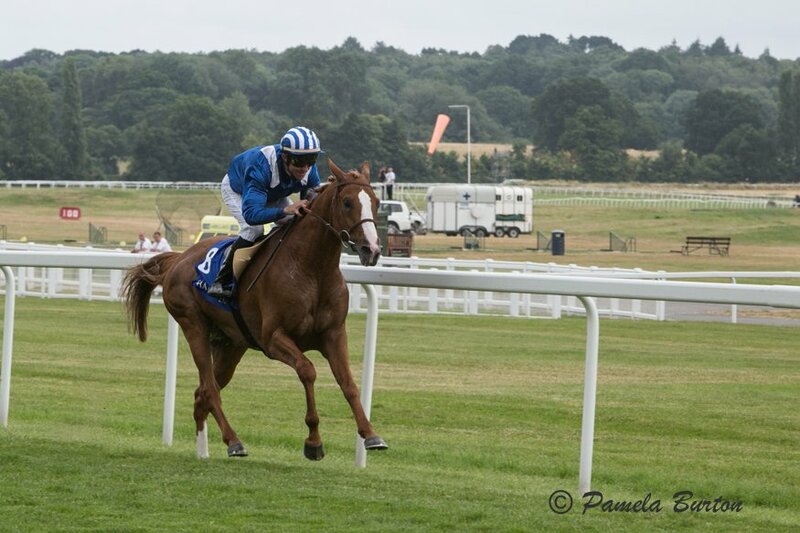 Foaad quickly put to bed the second win for Shadwell in the next race, the Emirates International Stakes, under Francois Xavier Bertras,leaving the double down to Sunbulla under Dan O’Neill who brought the filly home second for Shadwell and Colington. 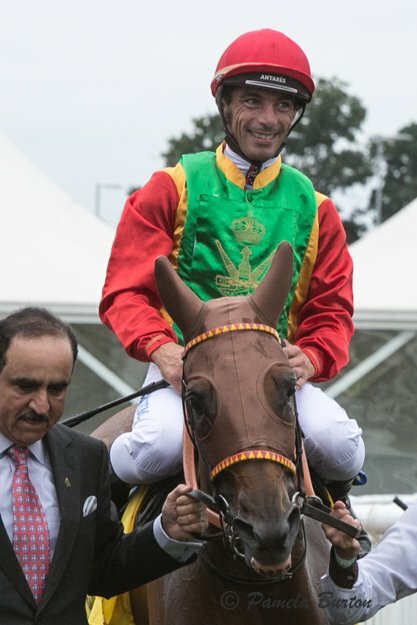 The Italians were not to be denied and their entry Urge Di Galleria under Antonio Fresu make a handy run to win this Group 2 Emirates Equestrian Federation International Stakes. The Caligola-bred colt ridden here by Antonio Fresu remains unbeaten now in 5 starts for trainer Endo Botti. Colington was starting to breath easier as this third Shadwell win arrived when Radames put paid to the Group 1 sponsored by Jebel Ali Racecourse. The Kerbella colt won the battle in the last strides over Kao Kat MHF, winner of the 2015 edition of this race on DIAR day. Kao Kat MHF, owned by Moh Nasser Al Hashar and bred by Mandolynn Hill Farm, is out of the Shadwell stallion Kaolino and trained by Beverly Deutrom. Another Kaolino colt, Kamikaze under Kieran Shoemark, gave no quarter at the finish in the Rotana Premier Handicap Stakes of one mile, four furlongs. Trained by AS Newey for the Almost All Partnership, Kamikaze narrowly beat out the Shadwell entry, NAAR, and stablemate Awzaan in a duel to the finish. In the final race of the day, Zayin Zachilles was the surprise winner for Zayin Arabian Stud under jockey Harry Bentley. This Kaolino colt was the best of the field for the day leaving Parma T in second and Aurora Forta in third in the NAIP Handicap Stakes. International visitors and the enthusiastic family-day race patrons swelled to almost 10,000 and took advantage of the warm summer weather, the many free gifts, drawings, side events and contests, including one for a new car, as well as the awarding of prizes for the artfully done, Rainbow Arabians, where local schools were awarded prize money for the most creatively painted horses supplied by Shadwell. Trainer Philip Colington seems to be settling well as newest Shadwell trainer with his first Group 1 winner, Muraaqib: “Phil Colington seems to be the right trainer with good results and I am sure he will have a good future,“ explained Mirza Al Sayegh with a smile. 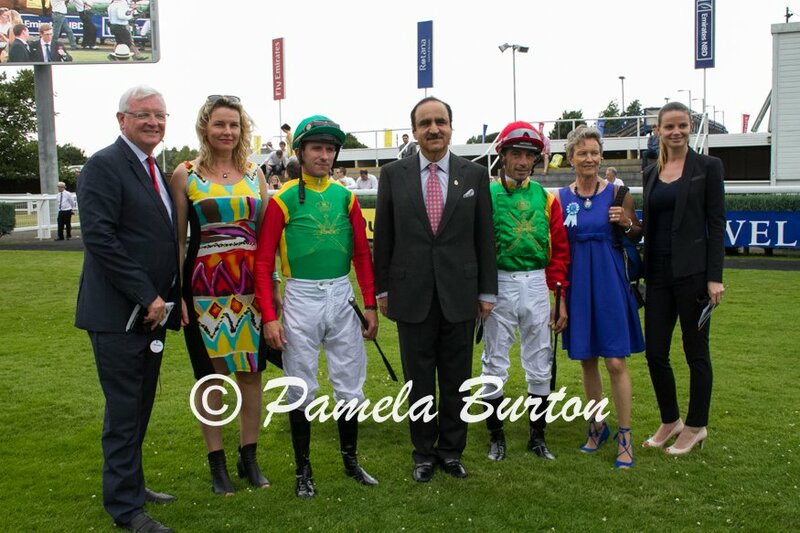 The full Arabian race day was organized by the Arabian Racing Organization (ARO) under the Sponsorship of Shadwell’s Dubai International Arabian Races (DIAR). The DIAR has promoted Purebred Arabian racing worldwide from the grass-roots to the highest level since its’ inception 35 years ago. The 2017 DIAR racing date has already been set for 30 July, 2017.